Our company invites you to hire the most perfect and convenient professional car upholstery cleaning service you can find in W3, Acton. Our company has many years of experience in this field, and we assure you, you will not find a better service. We are offering you efficient, highly professional car upholstery cleaning service for a very attractive and economical price. Do not hesitate to call us for an appointment right away. We will send a team to the rescue right away. Give our cleaners a chance to show that they really are the best ones in town. They work using steam cleaning machinery of the latest fashion and strong efficient cleaning products, which help them reach their goal of perfection. At our company, we are all perfectionists, and we always go the extra mile to make our clients happy and satisfied with our service and results. 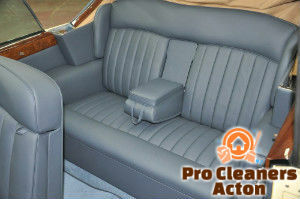 You can enjoy our perfect car upholstery cleaning service, if you give us a call now. Our cleaners will steam clean your car upholstery, they are very careful and will test the cleaning products first, they will clean all car seats and head rests in depth. You can say ‘Goodbye’ to bad smells, dust, stains and grime. We will make your car feel and smell fresh again. Trust us and book our service now. 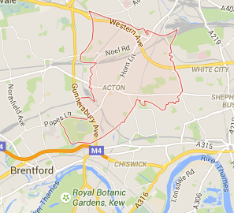 Hire the best car upholstery cleaning service in W3 to help you with your car’s cleaning. We will not disappoint you.